A missing tooth certainly impacts the appearance of a person’s smile, but many patients are unaware of the oral health problems a missing tooth can cause. When left unaddressed, the space left behind by a missing tooth can cause the adjacent teeth to shift position, create poor occlusion, and weaken the strength of the bite. 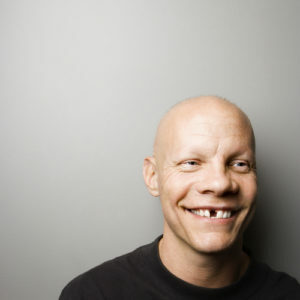 Over time, the facial bones may even begin to shift, particularly when there are several missing teeth. Dental implants are considered the premium tooth replacement procedure due to providing superior stability, increased comfort, low maintenance, and exceptionally natural-looking results. While traditional bridges and dentures remain an effective method of tooth replacement, these restorations are often associated with a number of inconveniences. With the help of implants, however, there are alternatives like fixed dental bridges and implant-supported dentures that can allow patients to chew and speak more confidently without having to worry about slippage or messy adhesives. During the consultation process, our dentists will perform an oral exam, discuss your cosmetic goals, and thoroughly review which tooth replacement options can best restore the function and aesthetics of your smile. To learn more about dental implants and other missing tooth solutions, or to schedule an appointment with Dr. Todd Mabry or Dr. Anna Vaysman, please contact our office today. < Previous Post: Are Porcelain Veneers Right For Me? Next Post > : When Are Porcelain Crowns a Better Option Than Veneers?